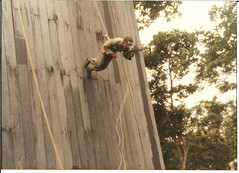 Australian rappelling is the technique of descending a fixed rope in a standing position while facing the ground. This technique is used to give the operator the ability to cover or engage a target below him with a weapon. It’s often used to cover an opening like a window or a patio/landing on a multistory structure as other operators approach the opening from the sides. Having done “Aussies” before, I’ve found that it’s easier to do if your rappel device is attached to your harness with multiple (locking) carabiners or even a stitched loop of webbing. This extends your balance point out a bit and helps prevent tipping forward and possibly falling out of our harness. A chest rig would be a good investment if you plan on doing this. Braking is done by bringing your rope hand in towards your torso/chest and is released by extending your arm out to your side. As your entire body weight is facing downwards there is a significant amount of pressure placed on your lower abdomen where your harness rests, and the need to keep your back and neck flexed to maintain position can be taxing. Compared to the ability to “sit in harness” that you have in a normal rappel, the “Aussie” is not a position you will want to stay in for an extended period of time. The Clove Hitch is one of the essential knots and is made of two half-hitches secured around an object. 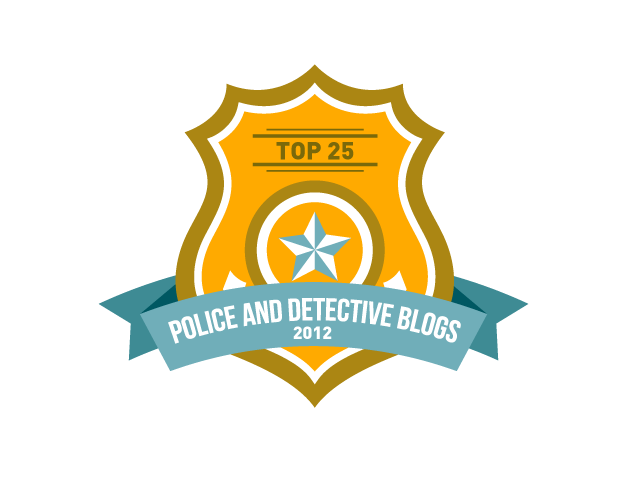 A “hitch” is used for exactly what it sounds like…hitching a rope to something. In other words it is a securing knot. However the Clove hitch is not particulary strong in that role because it can slip, which strangely enough is what makes it useful. The ability to adjust the Clove Hitch without untying it makes it a useful knot for constructing belay stations and starting lashings. An important skill to know is how to tie a hasty rappelling harness. This dude calls the securing knot a “tape knot”, also known as is the “water knot“, which I showed you here previously. 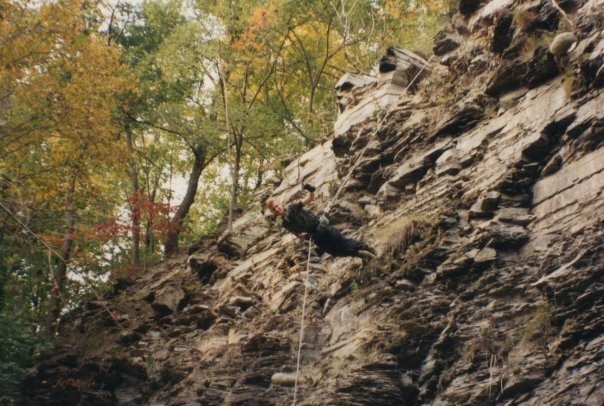 As crazy as it may sound, and I DO NOT recommend you self-instruct this way, I learned how to rappel using this harness, a carabiner and a length of anchor rope from a boat when I was a stupid and “invincible” teenager. 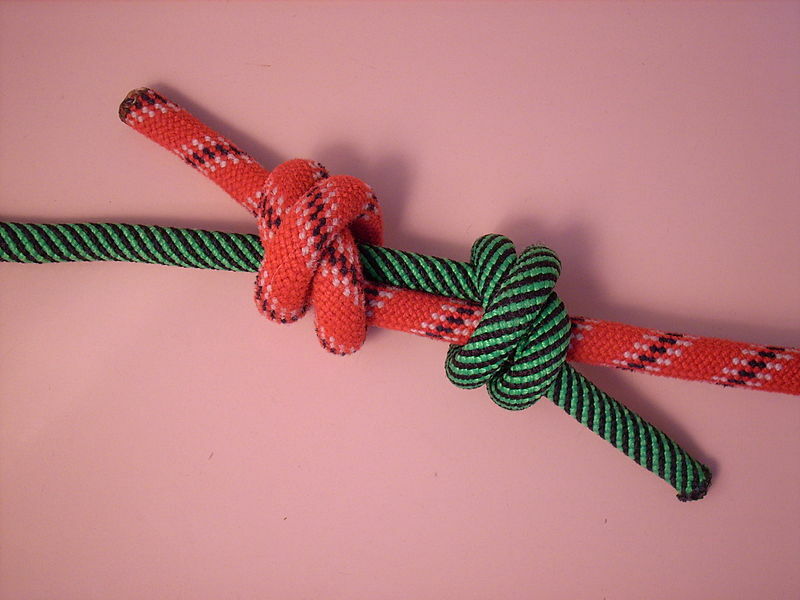 The double fisherman’s knot is a bend, or a knot used to join two lengths of rope. 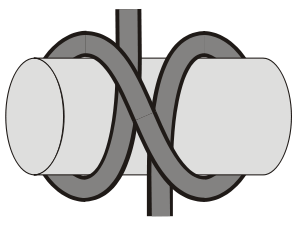 A very important knot to learn, the double fisherman knot is used often in climbing and high-angle work to form loops of cord for establishing anchors, belay stations and protection systems. 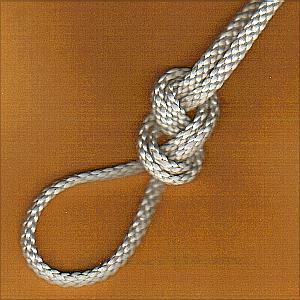 Another common use is the backing up of a critical knot, like a harness tie-in or rappel rigs. The running end is tied around the standing end of the rope, so that it cannot slip back through the knot. Another vital knot to learn is the Water Knot. Typically used to join two ends of webbing together, it is a vital knot to learn for making webbing loops for anchors, makeshift harnesses and rescue loops. The Water Knot is strong, but when tied correctly is also easy to untie. You will find yourself using this one quite often if you deal with webbing. Be sure that you leave enough of a “tail” on either side of the knot to prevent an end from slipping through the knot as weight is set on it. I typically tie the tails down to the loop with a simple overhand knot for added insurance. An additional tip for knot tying. I recommend that you practice tying your knots while gloved every once and a while, especially if you plan on mountaineering or ice climbing. After you have learned the basic Figure Eight knot, one of the first things you will utilize it for is tying yourself onto the end of a rope or securing the end of a rope around an object. This is done by tying a simple Figure Eight near the end of the rope; you will want to leave a long piece of “tail” line behind the knot because you will need enough rope to go through your harness (or around that tree) and then back through the knot. You will then take the end of the line and “follow through” the knot with it. This is one of the most important knots for a climber to learn. Some ropecraft geeks like to start out newbies with the really simple knots; overhand knots, square knots, etc. I think that the most useful knot, and THE knot that you should start out learning, is the Figure Eight knot. The Figure Eight (IMO) is THE foundation knot to learn. Once you get it down there are many other variations of it that you will use time and again in climbing and rappelling. Everything from; setting up anchors, tying into harness, splicing together ropes, making stoppers to forming attachment points, will involve the Figure Eight. 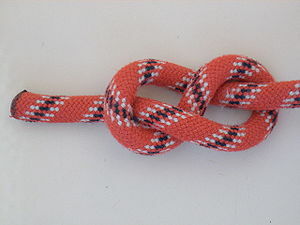 Perhaps the most important characteristic of this knot is the ability to untie it, even after it has been set under a heavy load. 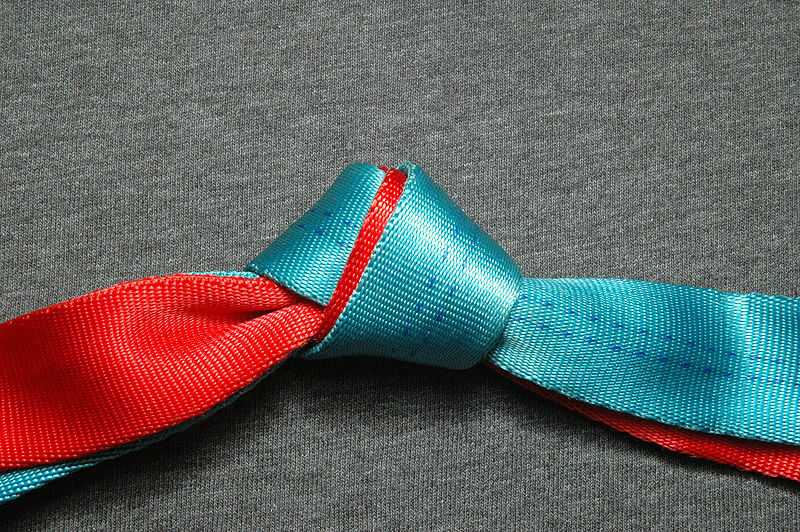 An overhand knot can be set so tight that cutting it out could be your only option. If you are really interested in learning this stuff I suggest getting yourself a length of cord that you can coil up and carry around in your pocket. If you are ever sitting around waiting for something and have nothing else to do, it can be quite meditative to wile away the hours by going through your knots. I used to do that back when I was really into climbing…yeah a tad geeky but I knew my knots and could tie them without even looking. The Figure Eight. Learn it…love it. Rappelling or Abseiling is the skill of descending down a rope. It is actually a simple process, but is fraught with many hazards, some statistics state that about 25% of climbing deaths occur during rappelling, most commonly due to failing anchors or abseiling beyond the end of the rope. At its core, rappelling is the act of using some sort of friction device or hitch to play out your rope in controlled fashion, under load, so that you can safely descend. Rappelling is not rocket science, but you have to know what you are doing. The rope has to be properly anchored, you have to be properly attached to the rope and the device you are using to rappel with needs to be properly attached to YOU.